Is your Business ready to Evolve Online ? E commerce websites are really helpfull in selling your products online in an easy way. You can start a business from the comfort of your homes or shop. Much simpler user interface on buying, tracking order, payment options etc. Mobile and table compact design and detailing. 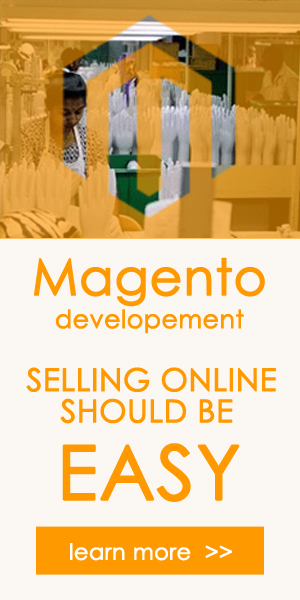 We handle magento development from installation to Custome Extention development. With relative and spontaneous design flow we have make the cart up ad running in a minimul time frame without any compromise Security, Payment Options and Extention support etc. Our team hold a strong magento exprenced magento developers and theme builders with awesome adaptive learning curve. Other then magento our team have hand on exprience in open source php tools like opncart, prestashop, oscommerce. For quick crash setup record time from 2 hrs to 1 working day to setup a shopping store online. We also provide extented service on Amazon Store custome html theme setup and support, Shopify Customization. Copyright � 2012 - 2019 Applied Minds� - All rights reserved. We offers web development for complex business applications in internet, e-commerce, web design, content development, client-side/server-side coding and server configuration.